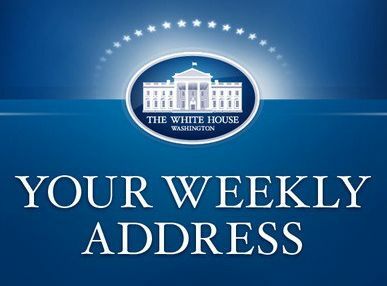 WASHINGTON, DC — In this week's address, President Obama reflected on his visit with the families of the victims of the Orlando terrorist attack. He reiterated that we will always stand with those impacted by the Orlando attack – and we will do everything in our power to stop homegrown terrorism attacks and ultimately destroy ISIL. With Father's Day coming up, the President emphasized the responsibilities we have to each other – particularly to our children. Too often, events like these have been followed by silence and inaction. President Obama said in order for us to raise our children in a more loving, safer world, we must speak up for it. Whether it's speaking up about the risks guns pose to our communities, or why tolerance and equality matter, our children need to hear us respond to these events and lead our lives with love.